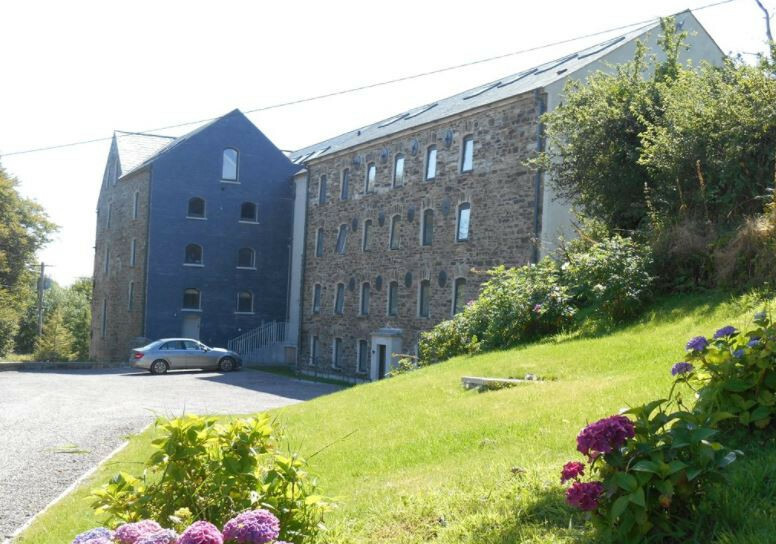 Refurbishment works to old mill converted to apartments. Replacement of all windows in the building with Carlson windows including motorized windows. The project included a large quantity of external lime render, traditional weather salting, roofing, cast iron gutters and internal refurbishment works including fire breaks and fire-stopping. Cahalane Bros Ltd was main contractor and PSCS and combined traditional skills with current technology and building codes of practice and regulations for this high spec project. 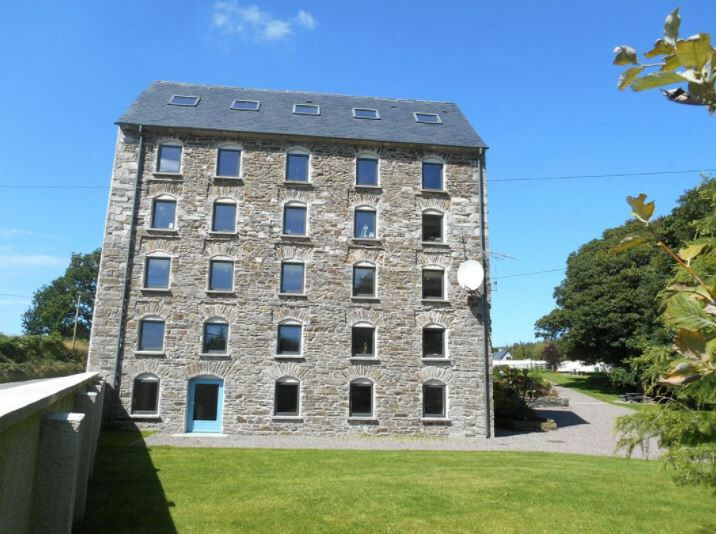 One side of the building which was fully scaffolded to 14m high was immediately adjacent to the main Cork – Dunmanway road. Cahalane Bros ensured that the scaffold was safely designed, erected, check and maintained and that materials could be loaded out safely. Extensive work was carried out internally to achieve compliance for the fire cert by installing fire breaks and fire stops and by upgrading the electrical installation. To improve weathertightness of the building, traditional crafts were called upon to maintain the building’s image. 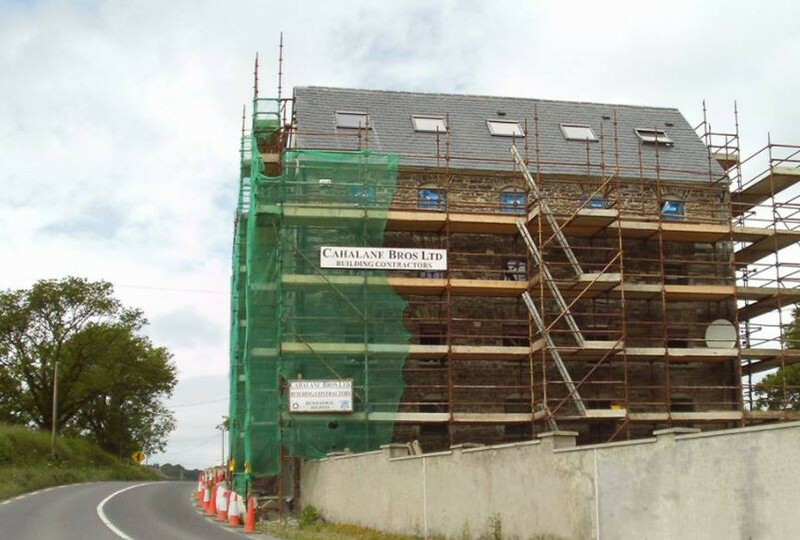 A combination of pointing, lime render and weather slating all of which are in Cahalane Bros skill bank, were used to achieve the desired effect.